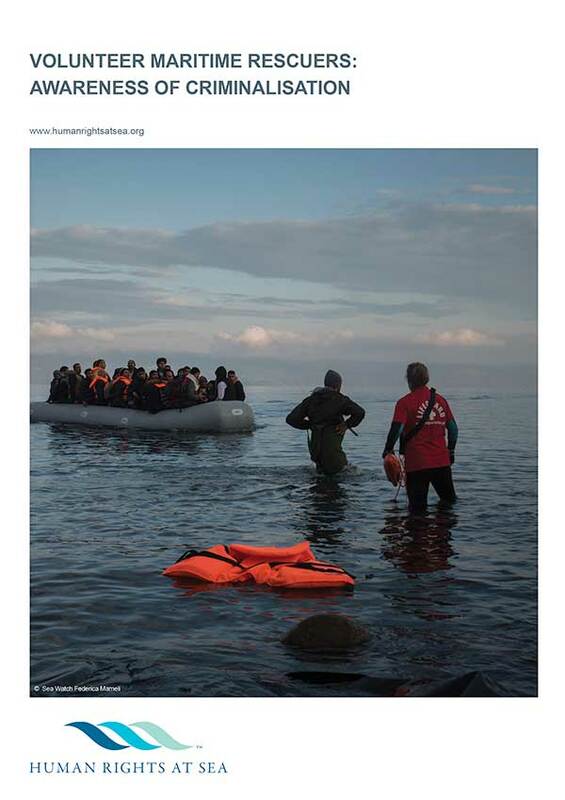 Human Rights at Sea publish new international guidance. The new publication comes against the backdrop of the European Union Agenda on Migration. It reflects work undertaken by the EU Committee on Civil Liberties, Justice and Home Affairs including developing safe and legal routes for asylum seekers and refugees into the EU. It additionally reflects concerns recently raised by the European Community Shipowners' Associations that “private shipmasters and NGOs who genuinely assist persons in distress at sea should not risk punishment for providing search and rescue assistance”. Bruce Reid, CEO, IMRF, said: "The International Maritime Rescue Federation is delighted to endorse the excellent guidance provided in this document by Human Rights at Sea. We are fully supportive of the information provided and believe this will be of great assistance to volunteer maritime rescuers, both now and in the future, as they venture out to help prevent loss of life. The only competition SAR organisations should face in maritime rescue is with the elements. We at the IMRF believe that cooperation, locally, nationally and internationally, is the key to preventing loss of life in the world’s waters. We are grateful to the team at Human Rights at Sea for developing this guidance and making it freely available to all rescuers." David Hammond, CEO, Human Rights at Sea, commented: "We are once again delighted to be able to deliver to the international community a new and independent review of a key issue facing volunteer maritime rescuers undertaking very difficult humanitarian roles at sea, and in the littoral regions of the Mediterranean. Potential criminalisation of individuals for acting to save life is a topic that has been urgently raised with the charity; so we have responded quickly and accordingly. My sincere thanks to IMRF for their peer review, their support in finalising the work and assisting us with the wide dissemination of this publication."